You cannot get more central than Yonge Street, where major developments take hold and propagate. 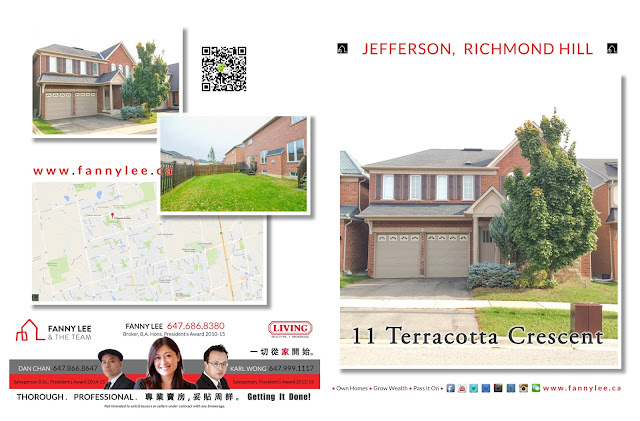 11 Terracotta Crescent in Jefferson, Richmond Hill sits a little north west of Yonge and Gamble. It is 3 minute away from shopping plaza and public transport while it enjoys Saigeon Trail in the background, parks and many golf courses nearby. Richmond Hill HS (#25 / 676) and St. Theresa of Lisieux (#16 / 676) are home schools. 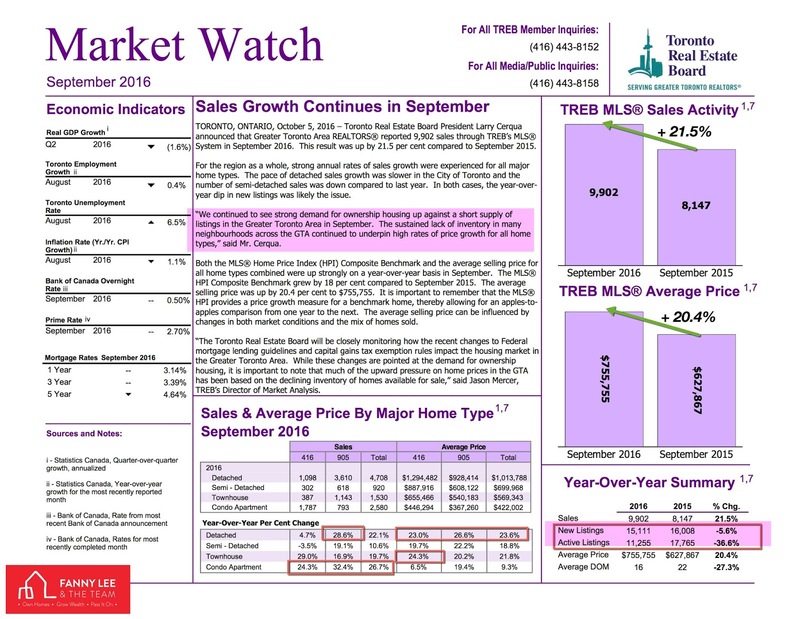 While the average selling price of a Richmond Hill detached house was $1.6M in September, 11 Terracotta Cres. is only asking for $1,239,900. This is an amazing place! Act fast! Visit our Open House or contact us for a private showing. [MLS N3642776] "Gorgeous Detached 4 Bed 4 Bath On A Quiet Street Approx 2700 sqft. loaded W. upgrades and features. Beautiful Hardwood Thru out, oak staircase with iron wrought,. Main Flr, 9 ceiling, Prof. Renovated Kitchen W. Quartz counter, backsplash, stainless appli. valance lights. Breakfast area walk out to custom deck. . Kitchen Opens To Family Rm W. Gas Fireplace. 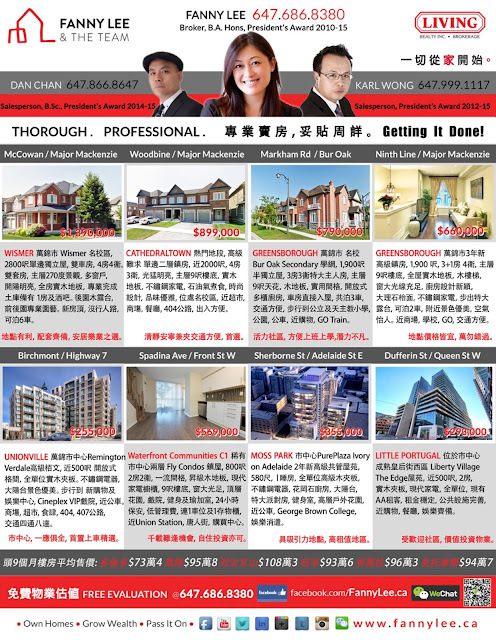 Spacious Master W. his & her closet & Ensuite, 2nd Bedrm Has Own Ensuite, Richmond hill high school zone. Must see." 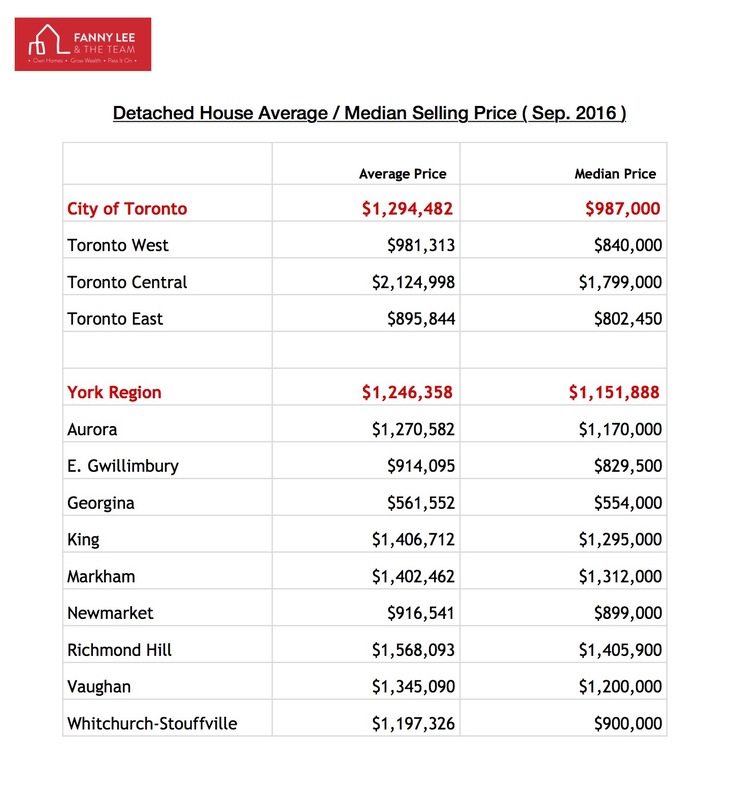 According to TREB September data, the average selling price of a Greater Toronto Area (GTA) and Markham home was $755,755 and $957,760, respectively. 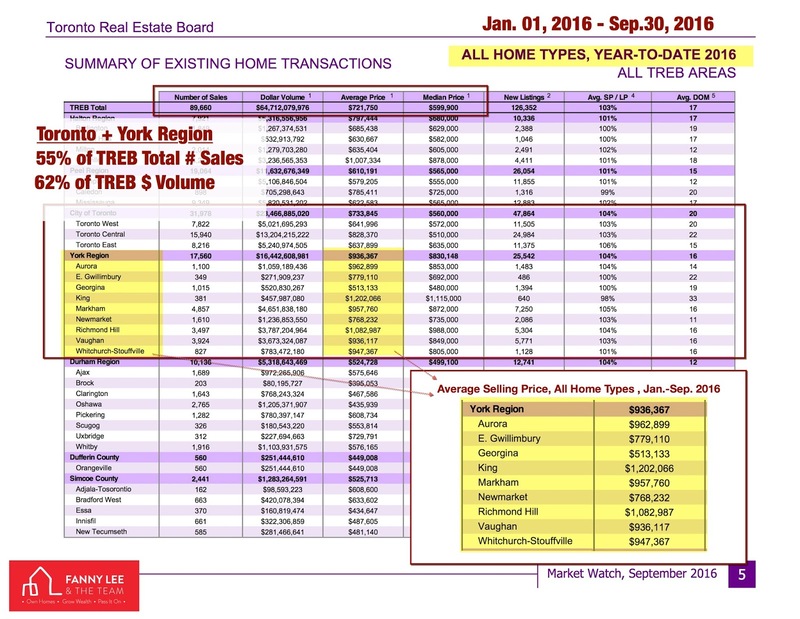 Finding a low-rise home in a highly sought-after Markham neighbourhood would cost a fortune. If you are looking for great value home, we have good news! Check out 377 Roy Rainey Avenue. It is a 3+1 bedroom link house (connected merely by a garage wall) on a premium lot with beautiful landscaping and interlocking. The basement is professionally finished with a separated entrance, a kitchen and a bedroom, offering plenty of potential. 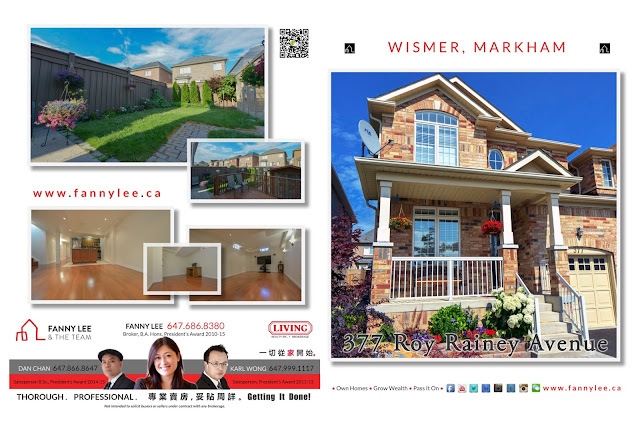 377 Roy Rainey Avenue is located within the very Wismer Commons (Wismer) community. In addition to easy access to all amenities, Wismer has an impressive school network, for examples: John McCrae Primary School (ranked 63rd / 3037) and Bur Oak Secondary School (ranked 10th / 656). It is a great home for a young family. [ MLS # N3642879 ] "Stunning Almost Detached House Linked By Garage On Premium Lot.Appro.1900Sqft W 3 Plus1 Great Size Bdrm 4Bath.Loaded W Reno&Upgrades.Main Flr 9""Ft Ceiling.Hardwd Flr Thruout, Beautiful Landscape And Interlocking At Front And Back Yard. Large Deck. Porch Veranda. Grand Master Bdrm W 4Pcs Ensuite, W/I Closet . New Prof. 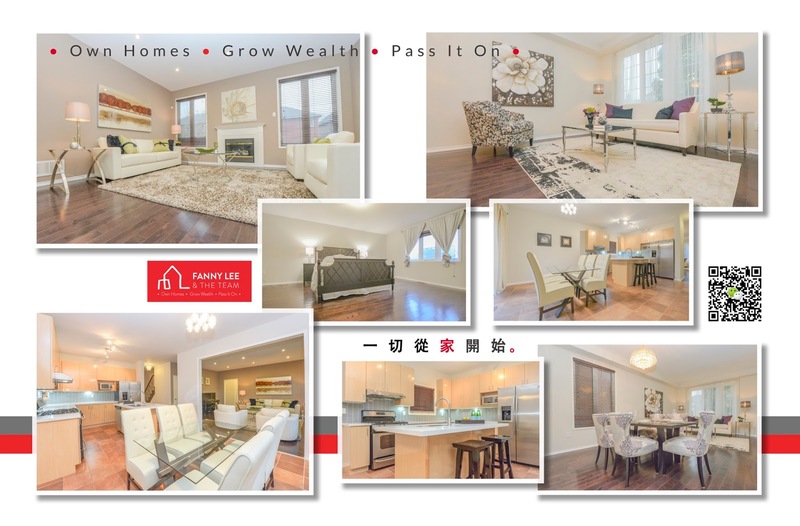 Finish Bsmt W I Bed Rm, Kitchen Full Bath.Steps To Top Rank Schools John Mccrae&Bur Oak Ss&Parks&Transit.Move-In Condition **** EXTRAS **** S/S Appliances 2 Fridges, 2 Stoves, 2 Mircowave Range Hood & 1Built-In Dishwasher. California Shutter Thru Out, Front Load Washer & Dryer, Gar. Dr. Opener. Parks 3 Cars. Separate Entry Thru Garage. Centre Vacuum. Exclude Master Chandelier"
How true! Actions speak louder. There is no short cut to real success. Friends, continue to strive whole-heartedly, it will pay off. 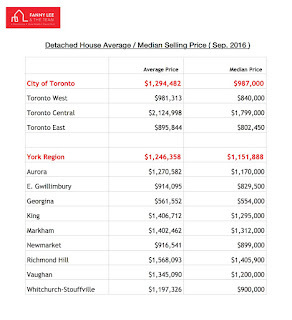 In our regular home re-sale market overview, we often use the average selling price across all cities/town and all home types within Greater Toronto Area as the price indicator. 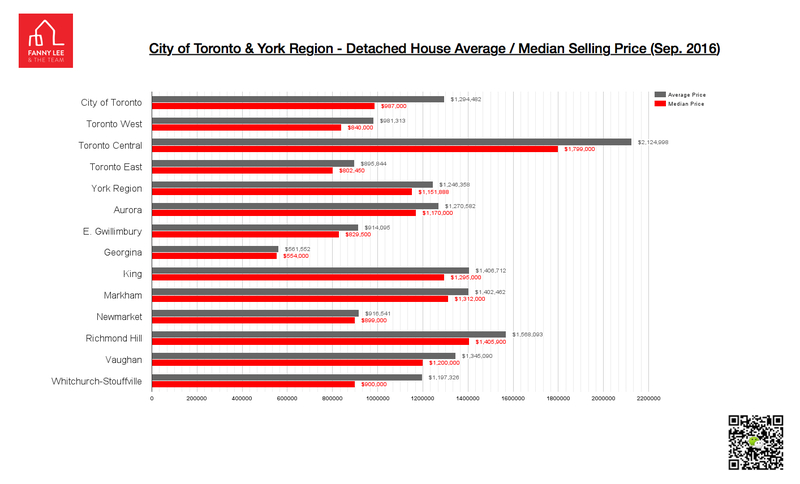 Today, let us compare the September detached house selling price among Toronto districts as well as York Region cities. 3) the hours could be long and irregular depending on the tasks at hand. Although it was cloudy and rainy, the turnout at our Cathedraltown Open House was encouraging. Special thanks to our neighbourhood friends (some were previous clients) visiting - bringing us warmth even on a somewhat chilly damp day. Similarly, we feel at home in the Wismer/Greensborough communities. Especially, this #HappyMonday, we are cheering for 2 client families achieving their goals - selling their properties at #SoldOverAsking price this month. We deeply appreciate your trust and opportunities. When clients are happy, we realtors are pleased, too. For those who need to frequently commute to Downtown or Midtown, living near Highway 404 would save so much previous time. 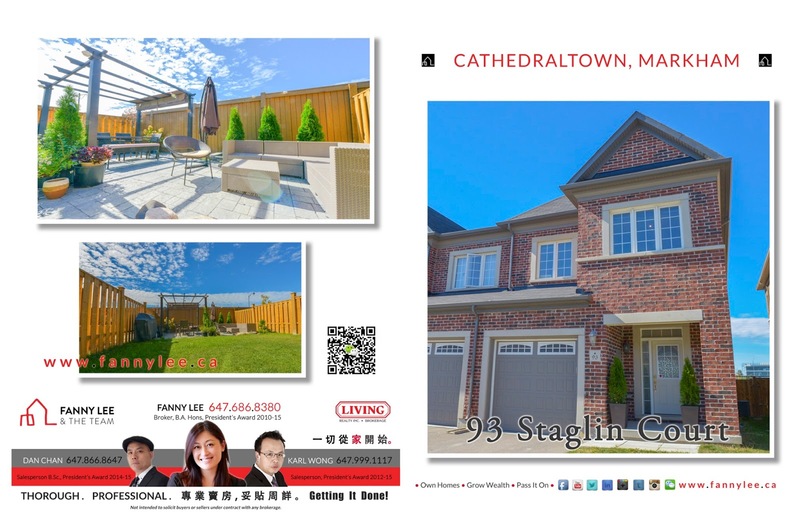 Especially with its unique flair and Richmond Hill across the highway, Cathedraltown / Victoria Manor / Victoria Square area attracts many families to settle. 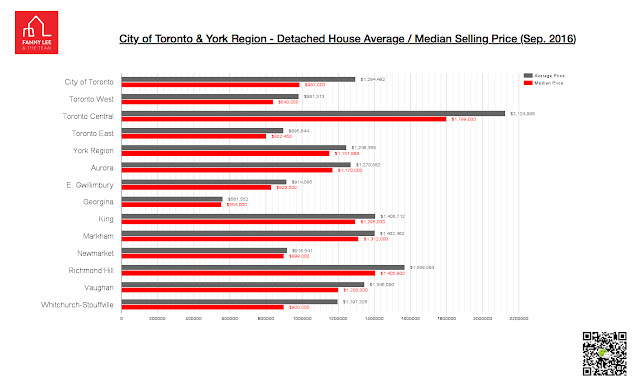 Needless to say, houses in the neighbourhoood are in high demand and sell quickly. If you are searching for a Cathedraltown home, you are in luck. 93 Staglin Court has just been listed. 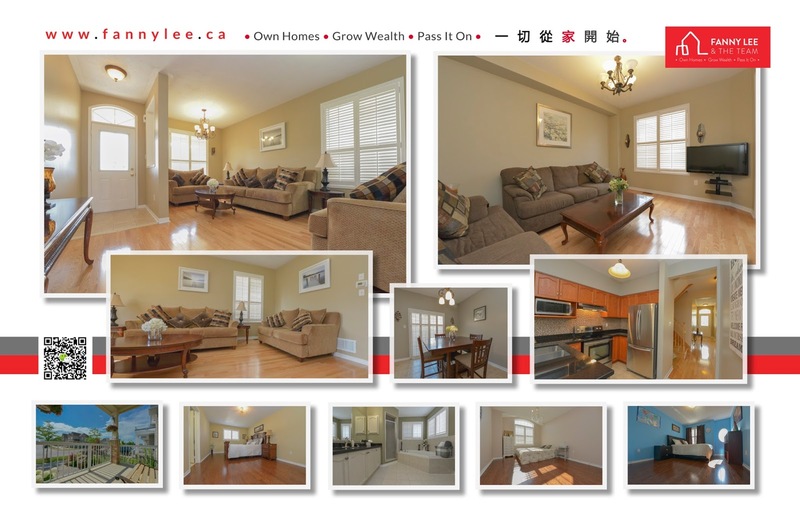 This 2-storey 4 bedroom Monarch built end unit townhome has everything a modern family desires: practical layout; bright and open view; tasteful upgrades; shopping plaza, schools, park within a few minute walking distance. Don't miss this opportunity. Visit us at the Open House. 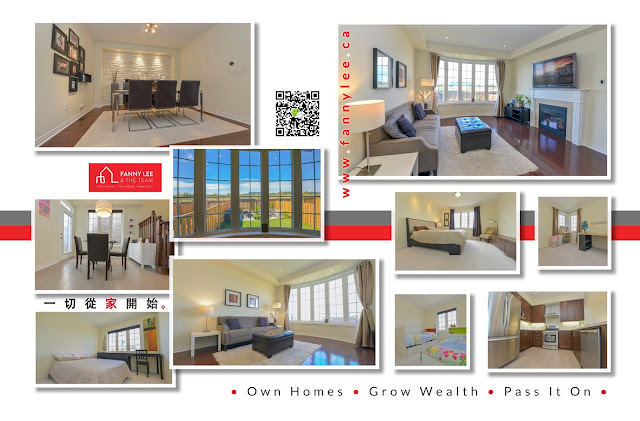 [MLS# N3631258] "Stunning Upscale Monarch Built Townhome End Unit Loaded With Upgrades And Features.4 Bdrm 4bath. Master Rm 5pcs Ensuite With W/I Closet, Approx.2000 Sqft. The Biggest Unit And Lot In The Complex.Loaded W. Features And Update. Dinning Rm Feature Beautiful Stone Wall. Modern Kitchen W/Quartz Counter, Backsplash, Maple Cabinetry, Valance Lights, S/S Appliances, Prof. Landscape And Patio Stone. Huge Bay Window Overlook. Backyard And More. Home Shows Like Model Home. Must See." Contact us for private showing. 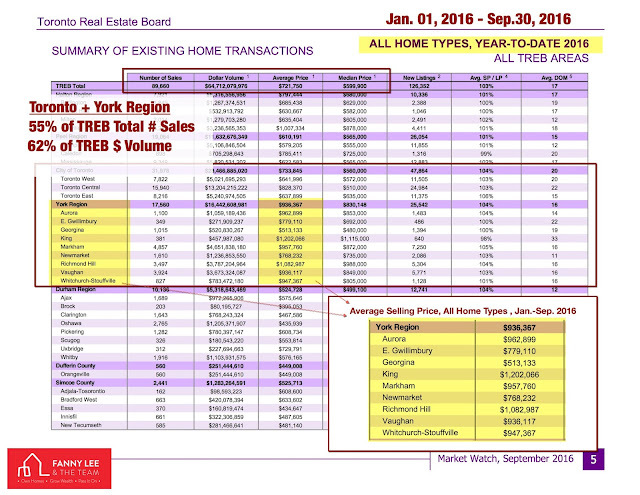 We discussed the fundamental reason behind the strong GTA housing demand. 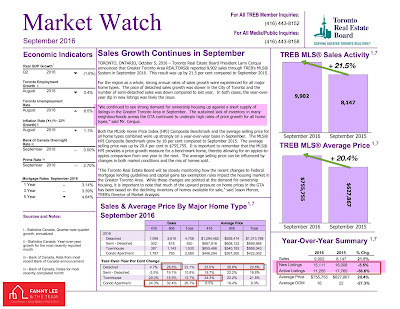 The recent TREB Market Watch indicated that there are limited supply (active listings were less than 2/3 of September 2015). The team has been working diligently with our sellers to bring some quality homes to the market. Here is our Chinese media advertising this cycle. Some of these homes are about to be listed. If interested, contact us immediately. Hope all had a good Thanksgiving. Like most, we spent some quality time with the family. We also went outdoors to enjoy the beautiful Ontario Fall. Like to share thought from Albert Einstein about nature as this #Tuesday #Quotation. It was such a great pleasure to have a reunion and catch up with P, a good old friend from financial industry half a world away. She keeps moving forward, breaking new ground. Such a trailblazer! With such inspiration, #TuesdayQuote is to remind us to keep learning and elevating. Don't be complacent. Welcome October! Welcome 4th Quarter! Attached below is a short Meipai clip. You could also see our Facebook page slideshow. Visit our #OPENHOUSE between 2:30-4:30pm.